Hurricane Irene, now packing maximum sustained winds near 100 miles per hour, could further strengthen and become a major hurricane late today or Wednesday, the National Hurricane Center said. Irene is projected to skirt the east coast of Florida late Thursday and into Friday, possibly as a Category 3 or 4 hurricane, and head up the East Coast this weekend. Forecasters said a low-pressure trough over the eastern United States was expected to shift Irene&apos;s track to the east, reducing the risk of a direct landfall in densely populated South Florida. The Florida Fish and Wildlife Conservation Commission advised boat owners to secure their boats properly in advance of possible sustained heavy winds from Irene. “Now is the time to properly secure your vessel to make sure it doesn’t break free and cause damage to property or result in people getting injured,” said Capt. Tom Shipp with the FWC’s Boating and Waterways Section. The core of Irene was headed toward the Turks and Caicos Islands andthe southeastern Bahamas as of early this morning, the hurricane center said. Hurricane warnings were in effect for the north coast of the Dominican Republic from the Haiti border east to Cabo Engano, the Turks and Caicos Islands and the southeastern and central Bahamas. Irene hit Puerto Rico on Monday, knocking out power and downing trees, according to reports. There were no reports of deaths or major injuries, but 800,000 people on the island — including the capital, San Juan — were left without power by the storm. 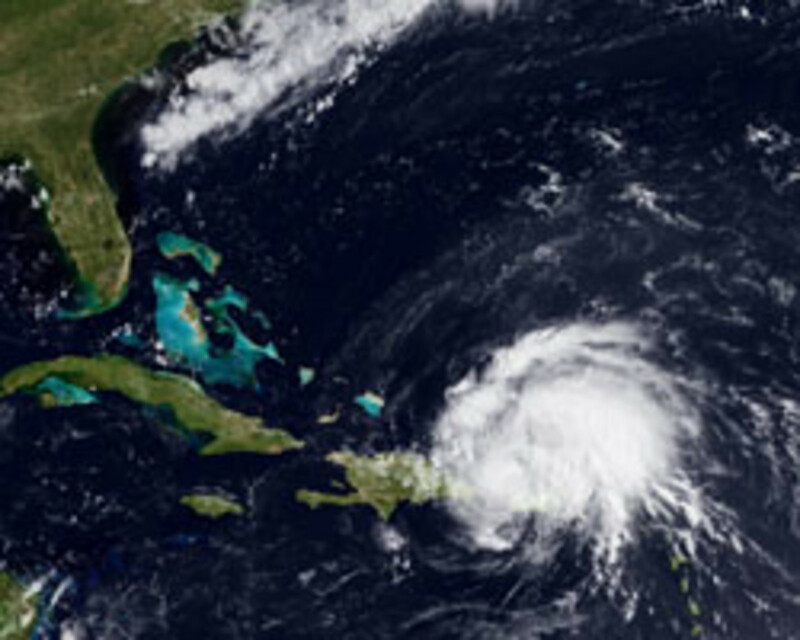 Irene is the ninth named storm of the 2011 Atlantic hurricane season, and the first hurricane.